I was running a small public access television studio in Marina del Rey, CA, when I was told by my manager that I was going to be assigned the role of supervisor at another production facility in Los Angeles. The additional studio was where our network news program was produced. This looked like a great opportunity. However, he warned me that this place was a hornet's nest. There was bickering among the crew and the facility was rundown. He said it was probably going to be extremely difficult before it got easy, but was confident I was up for the challenge. His hope was that I’d extinguish the fires among the crewmembers, elevate morale and renovate the studio to flagship status. Immediately upon my arrival I discovered that the existing manager didn't like me. This became apparent when one of my newly assigned crewmembers confided in me that I better watch my back. He went on to explain that the manager told everyone in the studio that, and I quote, “If Darrell Fusaro so much as peeps anything that can possibly be misconstrued as harassment I'm going to make sure Human Resources hears about it and he goes down." She was out to get me. My feelings ran the gamut from worry, panic, hurt, anger, self-pity, and finally, surrender. I knew deep down that no amount of self-will could manipulate the situation in my favor. So I put all my faith in the spiritual axiom, "Bless a thing and it will bless you. Curse a thing and it will curse you.” I knew the choice was mine. I could have my indignation or my demonstration. I couldn’t have both. In spite of dreading having to interact with her each day, I applied the following: Every morning when I did my prayer and meditation routine I’d include her. During these times I’d imagine her happy and smiling with her family and friends. Happiness is a wonderful thing to bless a person with since the wealth of the Universe always showers upon happy people. I was also motivated by the fact that happy people don’t seek to stick it to others. They’re too happy. I’d keep this practice up throughout the day. When thoughts of fear, worry and anger would crop up, I would quickly sweep them aside by switching to thoughts of love, happiness, harmony and success for everyone at the studio. The key to all of this was clinging to the belief that it was all coming to pass. Faith has been defined as joyous expectancy. I put my joyous expectancy in choosing to believe God was working on the unseen plane and transforming this situation for the better. Some days this came easy—other days, not so much. I’d make studio renovations and she’d give negative commentary. I’d rearrange crew positions according to their individual strengths and she’d have a rebuttal. I used the affirmation, “God makes a way where there is no way,” to maintain my poise. One day I pulled into the lot and noticed that she had parked her car in the handicapped space. I wanted to call the authorities and have her car ticketed and towed. After all it seemed justified. Instead I reminded myself, “Darrell that’s not in your square. Leave it alone. Forget about it.” I blessed her instead and let it go. Day in and day out I continued and within a month seemingly impossible changes began to take place. One of my habits was to belt out a joyful verse from a showtune as we set up to shoot a segment. This was something she detested. I’d sing a line and she’d slam her office door shut in protest—but not anymore. 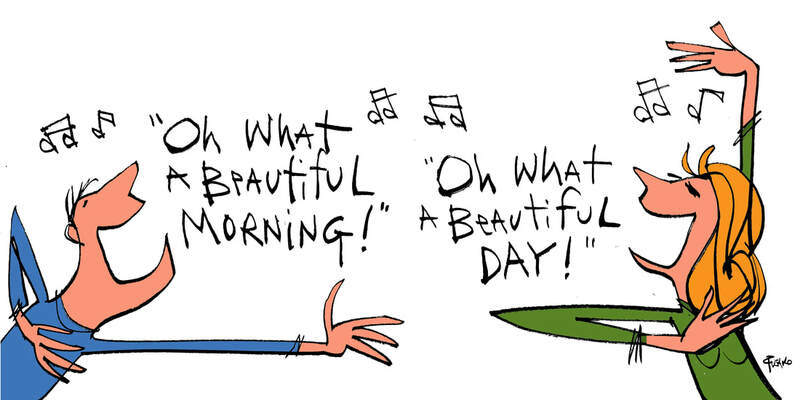 One day I belted out, “Oh what a beautiful morning!” There was no door slam. Instead she joined in with the next line, “Oh what a beautiful day!” singing it as enthusiastically as I. As the days went on she initiated pleasant conversations. Being a longtime Los Angeles resident, she would recommend hip local weekend outings for my wife and I. It was remarkable. I actually looked forward to seeing her each day. Things had improved so much that those who knew her often joked that I was putting something in her coffee. Visitors and celebrity guests who came to the studio would comment how pleasant it felt to be there. Within a year the show we produced together was nominated for an Emmy Award and we continued to enjoy each other’s company until we moved on in our separate careers. It’s true; the good you seek is seeking you. It is said that the Rabbi of Berdichev once saw a man running down the street. He asked the man, "Why are you hurrying so?" "I'm rushing to find my livelihood," the man answered. "And how do you know," the rabbi asked, "that your livelihood is running ahead of you? Maybe it's behind you, and all you need to do is stop running and it will catch up to you." “Morning routine? What’s a morning routine?” I asked. Mike continued by telling me that the most important thing I can do each day is to practice what he referred to as a “morning routine”. He suggested that I start immediately. Each morning upon awakening, before putting on my uniform, even before showering, I was to enjoy a few minutes in positive contemplation with my morning coffee. This included reading a few pages from inspirational books he recommended*, saying a few familiar prayers, turning any concerns over to God and mediating on all that was good in my life. It seemed absurd but without any other options I heard him out. I was caught off guard. Was he really asking me if I was ever kind and loving to myself? This was a man’s man. We were standing on an Army base for goodness sake. All my defenses were up but I had no defense against kindness. I wanted to believe that what he said was true. Primarily because the thought of conning and manipulating my way out of the mess I was in felt too overwhelming. I was in over my head. I began the very next morning. I did it exactly like he prescribed. Within fifteen days, I had an outrageously optimistic thought. “If I continue doing this and following whatever other helpful suggestions are offered to me, my life will continue to get better!” This thought felt so good that I can still remember exactly where I was when it hit me. Something shifted in me. In that instant it became clear to me that life worked from the inside out. All my life I had struggled to improve my external circumstances. I was convinced that once I got everything arranged perfectly (i.e., right relationship, right career, right home, right car, etc.) then I’d be happy. Living this way was unbearable. I could never get it all together, so I believed I was a loser. What a thrill to discover that this was not the case at all. Life is simpler than I had been imagining it to be. All I had to do was to switch from striving to believing. This simple seven-minute morning routine was taking me from a hopeless state of mind to hopeful state of mind. We live in a spiritual universe. It runs according to spiritual law. Simply put; as our consciousness improves so will our circumstances. When you renew your faith upon awakening, blessings will chase you down throughout the day. It has been over thirty years since I began doing the simple morning routine Mike shared with me. Within the first year, I went from being demoted to a rank lower than what one receives in boot camp, to serving as the Military Liaison to the civilian law enforcement community. In my position, I acted as the ambassador representing all five branches of United States military. It would appear that I had arrived there miraculously. There was no pushing, no shoving, just commitment to practicing a simple morning routine. The truth is one does not have faith because things are going well. Rather, things go well because one has faith. Faith has been defined as a state of joyful expectancy. I like that definition. My regular morning routine helps me to maintain this healthy state of mind. Anyone can enjoy a life without struggle. Begin with a morning routine of prayer and meditation. It works even if you don’t believe it. If you are willing to continue for just thirty days, you will be so thrilled at how much your life has improved that you will come to rely on it. *The readings recommended included Unity’s Daily Word Magazine. At that time, 1986, Mike treated me to my first one-year subscription. I became a subscriber the following year and have continued ever year since. I’ve also adopted Mike’s practice and treat new friends who are interested in starting a morning routine to their first year’s subscription of the Daily Word Magazine as well. This old story is a favorite of mine. “A man was sitting in a bar declaring loudly that he didn’t believe in God. “Why not?” the bartender asked. It’s a humorous way to deliver the good news that even if you don’t believe in God, if you pray for help, you’ll still get it. Artist Darrell Fusaro is a Decorated U.S. Coast Guard veteran, author of What If Godzilla Just Wanted a Hug? and co-host of the Funniest Thing! with Darrell and Ed podcast. The Ärgerverschlinger by Fusaro at home in first grade. GOOD NEWS: A wonderful series of coincidences have occurred following a first grade class' field trip to the HOPE exhibition and ArtLab at ESMoA, the El Segundo Museum of Art, El Segundo, CA, this past October 2017. As part of this trip the students participated in the ArtLab by decorating their own Hope Boxes. A Hope Box is any container with an opening. You write your present problem, desire, goal, or hard-to-make decision on a small piece of paper. Then fold it up and put it in your Hope box. In essence, turning it over to a Higher Power. 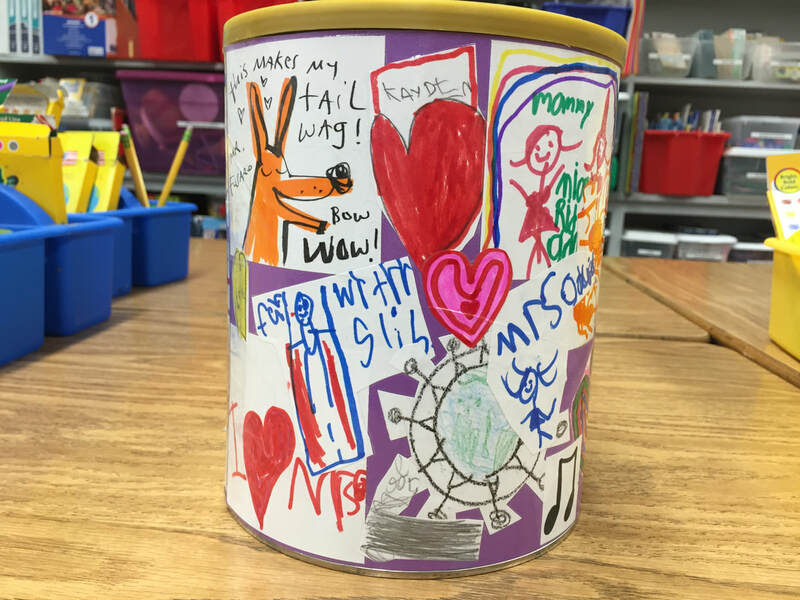 When this class’ teacher Mrs. Jan Glusac of El Rincon Elementary School, Culver City, CA, shared the students’ Hope Boxes with Los Angeles artist Darrell Fusaro, he was blown away. Ironically, he had just written an article for Daily Word magazine titled, "What is a God Box?" His article coincided perfectly with the Hope Boxes that the first graders had made. Since Fusaro regularly volunteers to do art activities with this class he and Mrs. Glusac decided to create the "Our Hope Can" with the kids; a classroom Hope Can that the students may use during school days. To decorate the outside of the can each student contributed an image they drew that made them feel good. They did this to reinforce Fusaro’s emphasis that Joy is the activating power that attracts better than expected results. It’s obviously true. The students rely upon “Our Hope Can” regularly. It ignites a joyous expectancy in students towards their hopes, wishes, desires, and goals. But wait–that’s not all! What about all of the students' unfriendly thoughts, i.e. frustration, worry, envy, self-pity, self-doubt, etc.? Fusaro came up with a solution; the "Argerverschlinger" (pronounced, “Air-ver-ger-schling-er”, it’s a compound German word he made up meaning "problem devourer"). The students write down their unfriendly thoughts on a piece of paper and feed them to this creature contraption he created. They insert their current unfriendly thought into the Ärgerverschlinger’s mouth, turn the crank on its side and they can see their unfriendly thought get shredded and end up in its belly. Write it down, I will gobble them up. The Ärgerverschlinger and Our Hope Can have their home side by side atop of their own shelf at the front of the classroom. Between them is a little basket of blank notepaper and pens available for students to use whenever they feel the need to let go of an unfriendly thought and fuel their desires. It’s been a thrill for them to discover that letting go of limiting thoughts and beliefs propels them forward to new avenues of fulfillment. 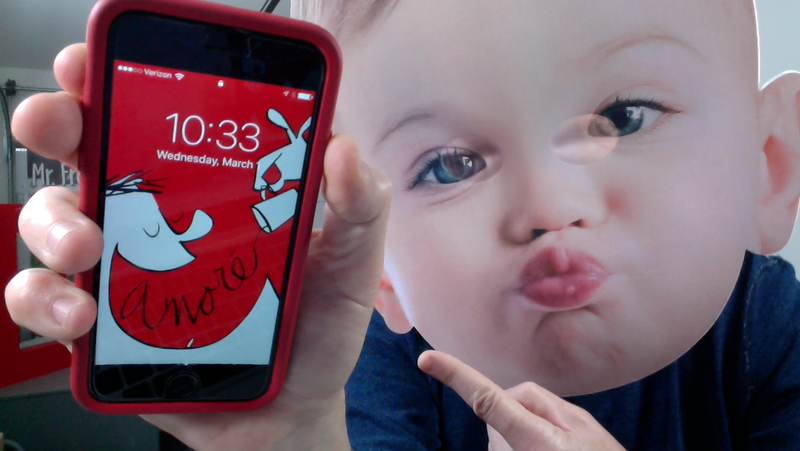 Artist Darrell Fusaro is the author of “What If Godzilla Just Wanted a Hug?” and his interactive piece, “Love Yourselfie Camera,” was included in the “This is Awkward” exhibit at ESMoA. 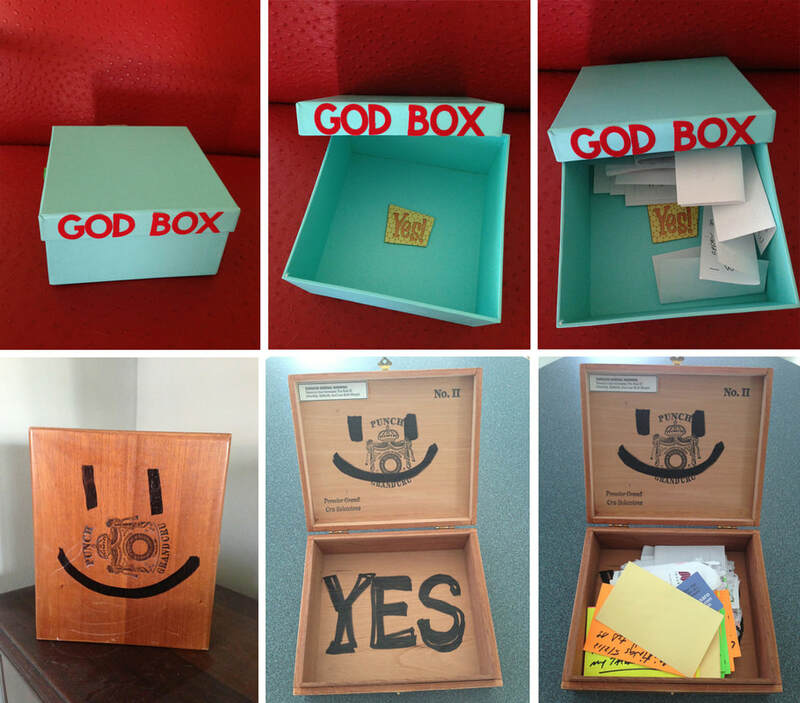 The God box, although effective at solving any problem you may have, may seem silly or at best too simple to be for real. But for those of us who have tried it we are unanimous: it works! A God box is any container with a slot or opening on top. You write your present problem, worry, desire, or hard-to-make decision on a small piece of paper. Then fold it up and put it in your God box. In essence, turning it over to a Higher Power. Personally, I include the date and end all my requests with the statement, "This or something better." I believe it to be the intention of "If it be Thy will." This keeps my request in the affirmative and puts my mind in a state of expectancy. The next day while Lori was at work in general conversation she mentioned us contemplating moving to Southern California. One of her co-workers enthusiastically exclaimed, “The best place my husband and I ever lived was this apartment complex in Marina Del Rey. You must live there!” She gave Lori the number. We called and funniest thing, they had a one bedroom coming available in thirty days, it matched our budget and they accepted pets. We made the move. Writing down my request and putting it in my God box enables me to feel like I've done my part in turning it over. This physical activity gives me a concrete sense that I've actually turned it over to a Higher Power. It also gives me a positive reference for when I catch myself getting concerned again. I simply remind myself that I put that concern in my God box and everything will transpire in divine order, with perfect timing, effortlessness and ease. In this state of joyous expectation, by the law of attraction, solutions are revealed and our circumstances improve. Don't stress out about what you should use as your God box, any container will do. It doesn't have to be a fancy container. The God box that works best is the one you use. Some examples of what my friends and I have used as God boxes are, a favorite cereal box, coffee can, oatmeal container, jewelry box, cigar box, a hamper, shoe box, and even a garbage can. One friend chose a can so she could delight in referring to it as, “My God can!” Whatever you choose to use as your God box it will work, since the activating power is in your releasing whatever it is to God. Whenever I clean out the old requests from my God box I get the added benefit of strengthening my faith by recalling in awe how even forgotten requests were resolved in wonderful ways. And by the date of each request I can see how all solutions came with divine timing as well. I hope this not only clarified what a God box is but also inspired you to experiment with one for yourself. It doesn’t matter the size of your request. Nothing is too big or too small to put in your God box. Whenever worried or indecisive use it to cast the burden on God so that you may begin to anticipate the unexpected way in which your answer will come. As published in Recovery Today Magazine, Daily Word Online, and Keys to Recovery Newspaper. I have a bookmark I look at daily and every time I look at it it breaks me out of the spell of fear, doubt, and worry. I keep it in one of my favorite inspirational readers to mark the day so I’ll see it every morning. 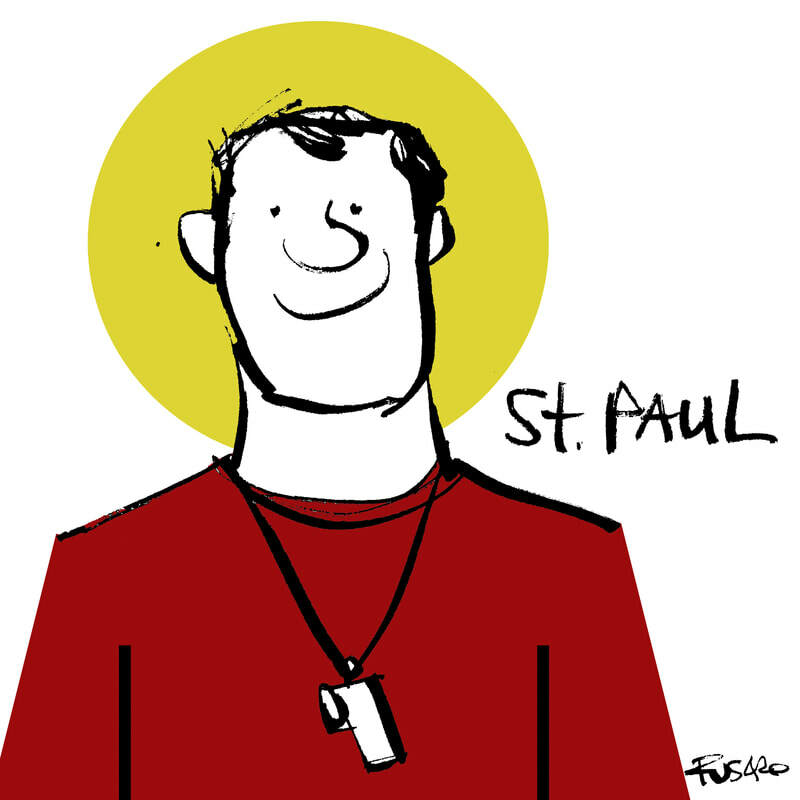 The Daughters Of St. Paul gave it to me. It has an illustration of St. Paul with a golden halo holding a sword in his right hand and holding a book over his chest in his left. There’s also an uplifting bible verse attributed to him printed on it. When I first received this bookmark it didn’t make me feel good at all. It was obvious some changes needed to be made. Mainly to the expression on St. Paul’s face. His miserable expression made him look uptight. Like someone who takes life way too seriously. As far as I’m concerned seriousness is merely fear pretending to be a grown-up. He looked more like someone in desperate need of hearing his uplifting message than the one giving it. Now anytime I read it what I feel is personal to me. It’s as motivating as if I’m on the precipice of an exhilarating moment. The words coming straight to me from a beloved football coach right before he sends me onto the field. I care for an aging celebrity with four legs. At 98, this former print model still performs as "Gabby the Postal Pit Bull", delivering the fan mail to be read during my weekly podcast, Funniest Thing! with Darrell and Ed. 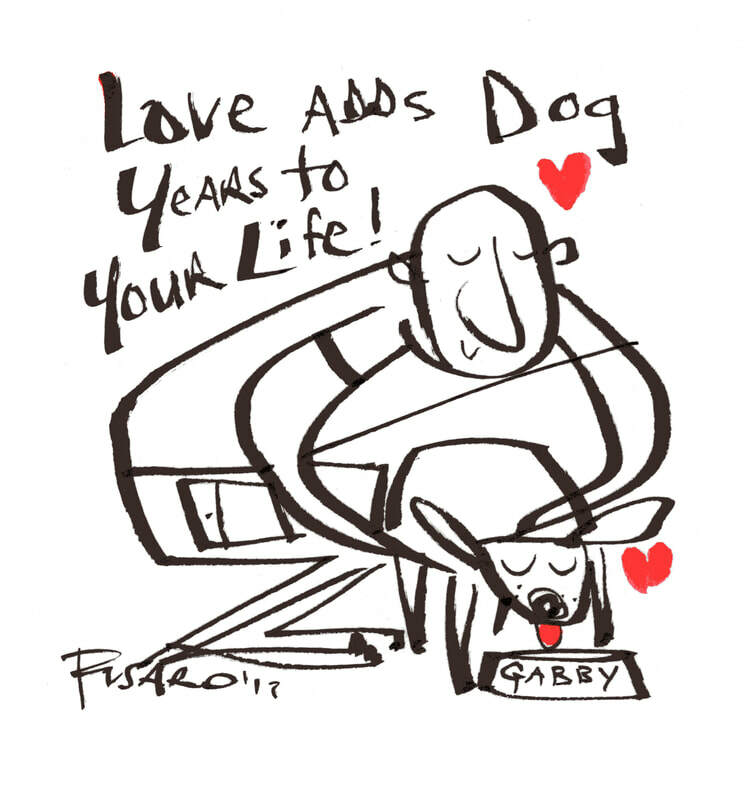 I am so happy my wife, Lori Fusaro, chose to immortalize Gabby in her best-selling book, “MY OLD DOG: Rescued Pets with Remarkable Second Acts”. 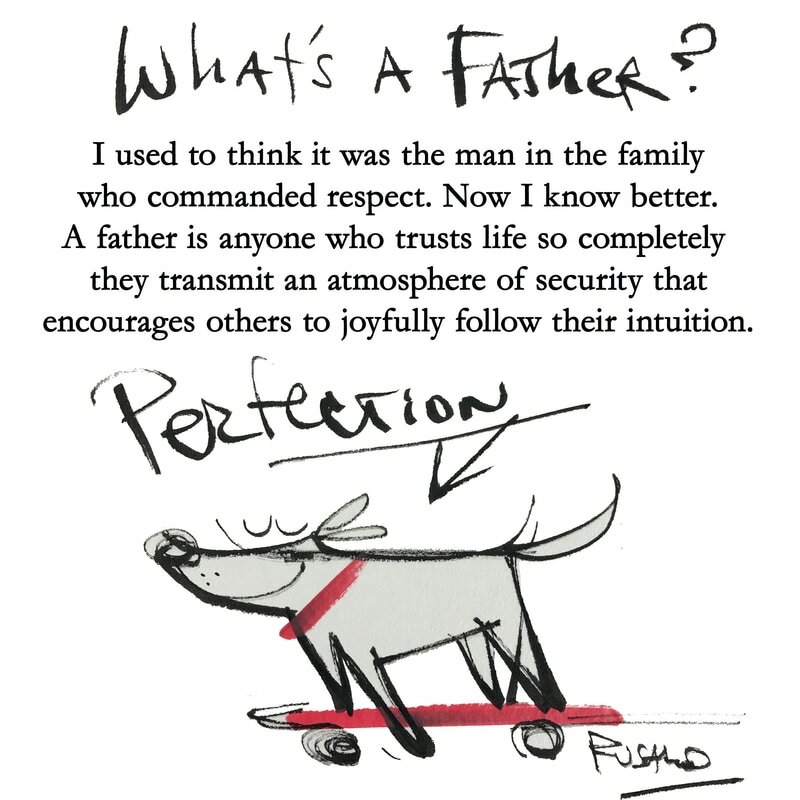 In addition to Gabby, it just might be the happiest book you’ll ever read. It is full of inspiring feel good stories that show how blissful retirement can be for older dogs who get rescued. And the unexpected positive effect they have on the the humans, like Academy Award winning actor George Clooney, who've rescued them.